I started this blog because over the years I have written reviews in notebooks, but it has been a haphazard affair. I thought by writing my thoughts into a blog there would be more of a consistent approach and I would be able to have all my thoughts in one place. In lots of ways it a journal (but a public one), so I thought I might jot other ideas down as well and then at the end of the year or through the year, I can look back on what I was enjoying at the time. At the moment I am reading Normal People by Sally Rooney. This book came recommended to me by a friend. On looking into the book, I realised that it was a BIG deal and I wondered why I hadn’t heard about it. Upon ‘googling’ I discovered that Sally Rooney is the next big thing. I bought the book, but for some reason, I was hesitant to start reading, probably because I am always terrified that it won’t live up to expectations. I am enjoying the book and I am engaged with the two characters – Connell and Marianne. I do like that the two characters are sensitive, intelligent and yet awkward and unsure. I know this book has received rave reviews and I am probably halfway through so I will refrain from commentary too much because at this point in the book I don’t understand the hype that it has received. On saying that, I do love the character, Lorraine, Connell’s mother – she’s smart, sassy, kind and knows the difference being right and wrong. I like that she’s a young single mum and she provides Connell with a strong moral compass. I am halfway through the book, but I am sensing where the book is heading, but let’s wait and see if I’m right. 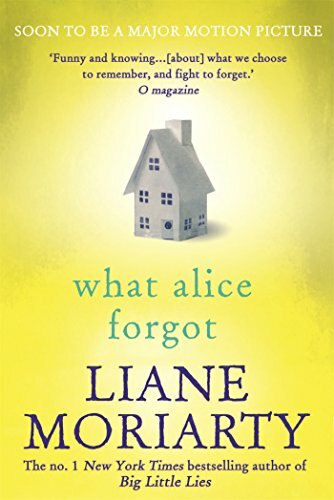 I first read What Alice Forgot by Liane Moriarty on my kindle. I will often read books on my kindle that I want to read but which I don’t think I will love and want a hard copy of. How mistaken was I! I loved this book. I believe that this is Liane Moriarty BEST book. Forget Big Little Lies! This book makes me laugh out loud and considering the topics include infertility, divorce, amnesia and death it shouldn’t, but Moriarty manages to write a book that is both beautifully moving and absolutely hilarious. I like Liane Moriarty’s books but I’m not a HUGE fan but I love this book. I love this book enough to go out and buy a hard copy for my collection. The characters are funny, endearing and likeable. The story is told by three characters and Moriarty weaves these three voices masterfully. At the moment I am feeling frustrated with television. I love TV. Before Netflix I loved TV. I have always been a TV addict. At the moment though I spent most of my time trying to find a show that isn’t centred on violence or drugs. That isn’t dark and depressing. I do watch these shows, but I need something lighter at the moment. I am re-watching Hart of Dixie which is absolutely delightful. I loved this show when I watched it the first time and I love it even more on my second viewing. I love that it isn’t dark and depressing. I love that the characters aren’t super bitchy. I love that the clothes in the show are fun. I love that it is funny, witty and charming. I love the setting – absolutely gorgeous. 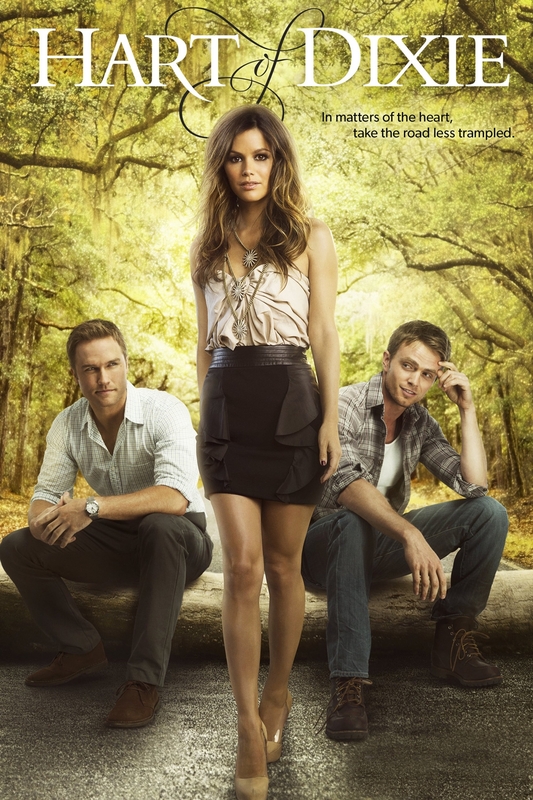 I like a show that is set in a small town with wacky characters and this is Hart of Dixie. What I love about Hart of Dixie is that it doesn’t take itself too seriously – a show doesn’t need to be pushing boundaries – sometimes all a viewer wants is to be entertained. I am on the third season of four seasons and I am not sure what I will do when I have finished watching this light-hearted but adorable show. I am told that Jane the Virgin may fit my bill, but I am going to miss Bluebell. I seriously want to find a real-life Bluebell and move there. Recently we took a trip to Brisbane for the weekend. We stayed at the Next Hotel in the city or the old Lennon’s Hotel. The hotel was superb. The staff were friendly and accommodating and made the trip a great one. The hotel is smack bang in the Brisbane mall, so getting around the CBD was a breeze. Next Hotel is centrally located, but it has a lovely feel. You would walk into the hotel, up the escalators and the busyness of the city would disappear. We were lucky enough to upgrade to a King room and the King bed was HUGE and comfortable. On Friday night we made our way to Caxton Street and had dinner at Brewski Bar. I had a Brewski Beef burger which was delicious and my partner had a vegan cheeseburger which he declared was delicious. A big call from a discerning vegetarian. The service was friendly and relaxed. We will definitely be paying a return visit. On Saturday we managed to fit in a walk to Southbank and after dinner, on Saturday night we made our way to the City Botanic Gardens to view the fig trees lit up with fairy lights (opposite the Goodwill Bridge). I have seen all the photos on Instagram and I wanted to look at the trees. They were beautiful! It was a fun trip and of course, we visited one or two bookshops as well.